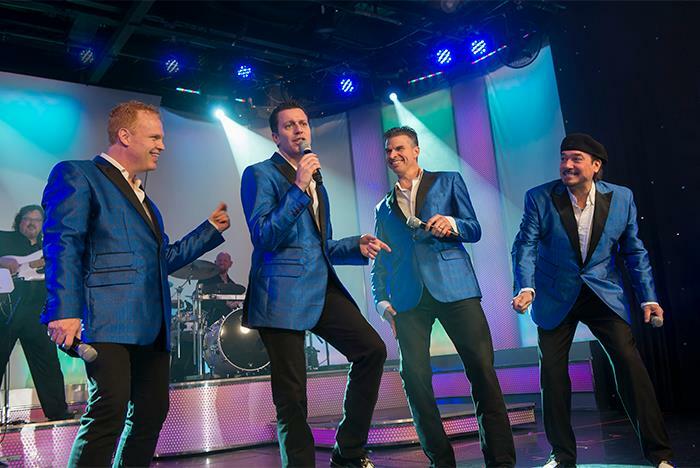 Go on a musical journey through the ‘50s, ‘60s, ‘70s, and ‘80s with Branson’s Vocal Group of the Year, the Pierce Arrow Quartet, and Comedian of the Year, James Sibley! 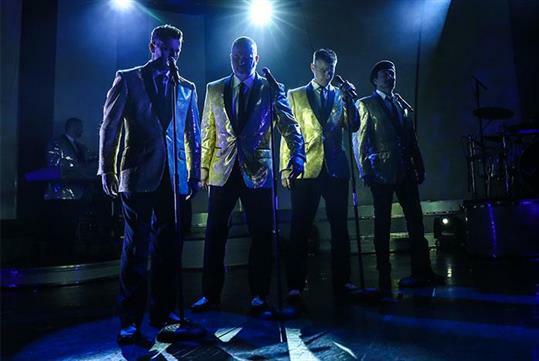 Throughout the performance, you’ll find yourself clapping and singing along to your favorite songs and cracking up in side-splitting laughter. 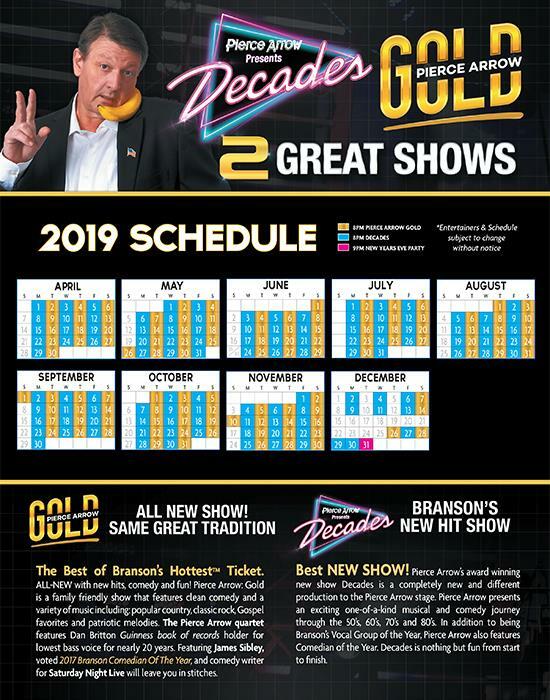 This new, award-winning show is the pinnacle of Branson entertainment! Show duration: approx. 2 hours. Meet and greet with the performers after the show. 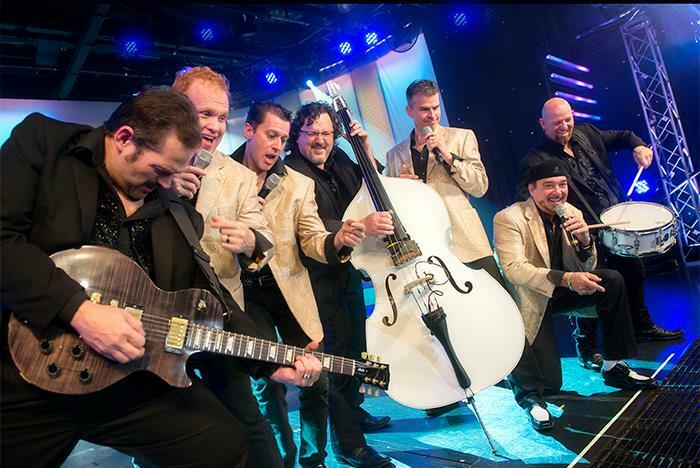 The Guinness World Record holder for lowest bass singer performs in the show. Features the Pierce Arrow quartet and 2017 Comedian of the Year James Sibley. Audio and video recording is not allowed. 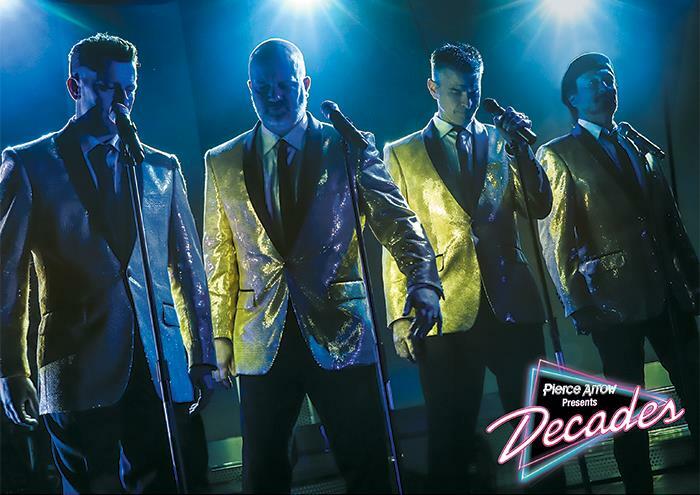 Pierce Arrow’s award-winning new show Decades is a completely new and different production to the Pierce Arrow stage. Pierce Arrow presents an exciting one-of-a-kind musical and comedy journey through the ’50s, ’60s, ’70s, and ’80s. 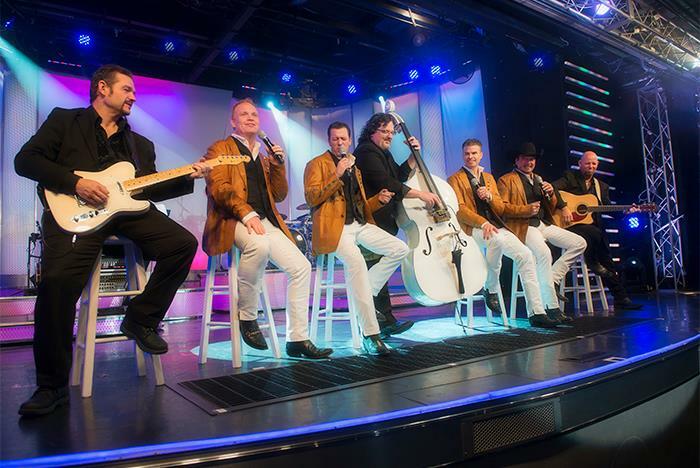 In addition to being Branson’s Vocal Group of the Year, Pierce Arrow also features Comedian of the Year. Decades is nothing but fun from start to finish. Are guests allowed to meet and greet the performers? Yes, they are. The entertainers are available during intermission and after the show. Are cameras, audio or video recording allowed at the Pierce Arrow Decades show? Flash photography is allowed. Due to copyright laws, no audio or video recording is allowed. How long is the intermission of the Pierce Arrow Decades show? The intermission is 15-20 minutes long. All parking is free to guests. Some parking is on level ground, some are not. Senior patrons may want to be dropped off at the door of the theater for convenience purposes. What is the size of the Pierce Arrow Theater? There are 855 seats total. How many rows of seats are at the Pierce Arrow Theater? Yes. The Pierce Arrow Theater is completely handicap accessible and has handicap seating for disabled patrons. The Pierce Arrow Theater is located at 3069 Shepherd of the Hills Expressway Branson, MO 65616. Is the show appropriate for children? Contact us for support or help booking your trip at 1-844-993-3215.